The majority of students do not know how lung cancer is diagnosed. Most students know the contributing factors to developing lung cancer. More than 50% of students know the symptoms and treatment of lung cancer. The majority of students are aware and understand the risks and impacts of smoking. 85% of students that carried out the survey do not smoke. Those who do smoke, smoke 15 or less cigarettes a day. 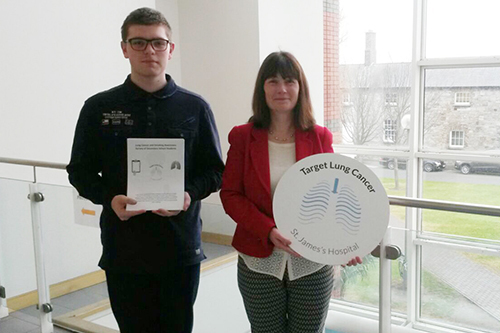 The majority of teenagers believe that patients with lung cancer explaining how the disease has affected them and their families is the most impactful means of persuading people to stop smoking. The place where it has the most impact is on TV as this gives a sense that this can happen in your own home and how devastating it can be for a household.